27.02.2015 (Hvino News) According to David Aptsiauri, ambassador of Georgia in China, sales of Georgian wine in the country have notably increased. Currently, the Chinese market is a priority for the Georgian winemakers, especially in a situation when the main markets – Russia and Ukraine – are in a state of economic crisis, and the export of Georgian wine in these countries fell sharply. In 2014, sales in China increased by 34% in comparison with 2013 which is primarily due to the active marketing program. In 2014, a total of 1.2 million bottles of wine were exported from Georgia to China. Winemakers believe that Georgian wine will not be able to become truly competitive without the full development of the Chinese market. To this end, the National Wine Agency intends to increase the activity aimed at promoting Georgian wine in China in 2015. 27.02.2015. After successfully delighting taste buds all over Europe, Georgian wine is continuing to make an impression around the world. Next destination – Asia. Georgian wine is invading the Asian market and featuring at upcoming exhibitions in Japan and China, thanks to the efforts of Georgia’s National Wine Agency. Six Georgian wine companies will be presented at the 40th International Food and Beverage Exhibition (FOODEX JAPAN) in Japan – the largest annual food and beverage trade show in Asia. The expo established in 1975 and since then, the event has served Japan’s $700 billion USD food market as well as many lucrative Asian markets. More than 75,700 professional visitors attended FOODEX 2014, including more than 8,000 from Korea, Taiwan, China, Thailand, and Hong Kong. The four-day event will begin on March 3. Georgia’s participation in FOODEX JAPAN would increase the profile of Georgian wine and encourage more customers and tourists, said the Georgian side. Wine companies that will feature at the Japanese event are: Qimerioni, Telavi Wine Cellar, Kakhuri, Kakhuri Wine Cellar, Shumi and Khareba. Should Georgia sell agricultural land to foreigners? 26.02.2015. Should Georgia allow foreigners to purchase agricultural land, and, if so, on what terms? This question was posed to a panel of experts including Georgian and international investors in Georgia’s agricultural sector, government and NGO representatives as part of the first of a series of public debates organized by the International School of Economics at Tbilisi State University (ISET) and USAID’s G4G project. 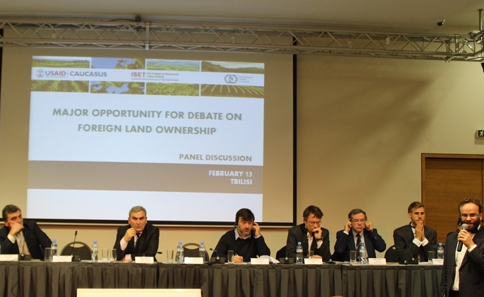 Held on 13 February, 2015 at Expo Georgia, the debate was moderated by ISET President Eric Livny. 25.02.2015. 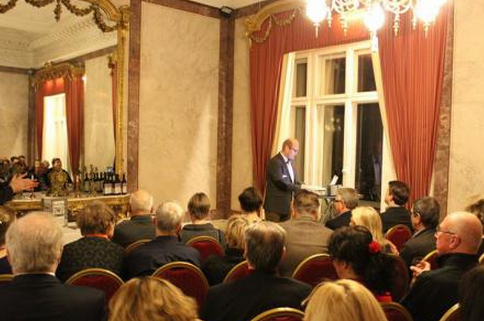 On the 19th of February, at the Dickson historic palace in Gothenburg, Sweden, was held the Georgian wine tasting and a presentation of the newly-established organization “Marani” for elite representatives of the business and cultural sectors. The wine club “Marani” is run by the qualified team and Meril Buman, the former marketing manager of Volvo, who is the head of this team. The wine club “Marani” was set up with the support of the Georgian Wine Club, and its main purpose is the popularization of the Georgian wine. This time Villa Overo in Gothenburg hosted more than 70 guests. The represented auditorium consisted of Swedish businessmen and cultural workers. This event was also attended by representatives of the Swedish media. Mattias Knutsson, one of the founders of “Marani” retold about Georgia and the Georgian wine to attendees and then introduced them vision and strategies of the newly-established organization, which was followed by the wine tasting and the ceremonial reception. At the wine tasting was presented Saperavi and Rkatsiteli of Pheasant’s Tears, offered to guests by Erik Andermo, one of the founders of the organization; also one had a chance to taste Tbilvino’s Saperavi. I’ve always been a wine-discovery junkie, constantly on the hunt for new grapes, new vintages, new winemakers, and especially new places where vines may never have been planted before. Thanks to ambitious vintners, rising demand from drinkers, a taste shift to lighter wine styles, and yes, even climate change, the number of global hot spots for wine is ever expanding. If you’re still rattling off the names of the old, long-famous regions, you’re way behind the times. In these eight spots, good wine is on its way to becoming great wine, with a few stars leading the way. 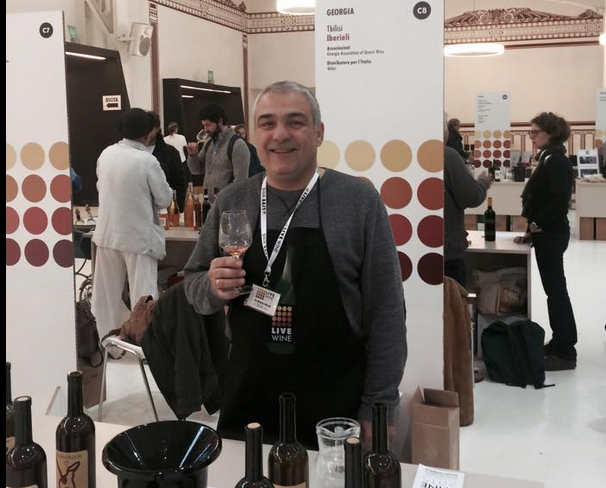 24.02.2015 (Hvino News) Georgia was represented at international natural wine fair Live Wine 2015 in Italy held in Milan on February 21 - 23. This important artisanal wine event attracted producers and visitors from Italy and all over Europe. Three Georgian bio-dynamic wine brands participated in Live Wine 2015: Iago’s Wine, Iberieli, and Our Wine. During the event visitors were be able to taste all wines on show, presented by well-known and small winegrowers. A market fair aimed both at the general public and at the professionals was held in one of the most beautiful locations in Milan: Palazzo del Ghiaccio in via Piranesi. Live Wine 2015 is the first international fair for artisanal wine in Milan. It was organized in partnership with the “Vini di Vignaioli-Vins de Vignerons” and Associazione Italiana Sommelier Lombardia. 21.02.2015. A new system of quality control and certification of Georgian wines and alcoholic drinks took effect on February 16. The new regulations aim at making life easier for businessmen and consumers easier, the Georgian government claims. But their ultimate goal is to maintain the high reputation of Georgian wine as well as possible. "It may sound strange, but smaller restaurants choose low-quality wine because it is less strong and consumers spend more time at the restaurants. Commensurately, as the image and reputation of Georgian wine has been increasing at export markets, it continued to remain questionable at local markets." The new regulations will control the quality of all wines, bottled and draft ones alike. The control of exported Georgian wines and alcoholic drinks is already tight, with a special commission checking every batch that goes for export by taking bottles at random and putting them through lab tests. But Georgian authorities have recently decided to streamline the control system for all alcoholic drinks. 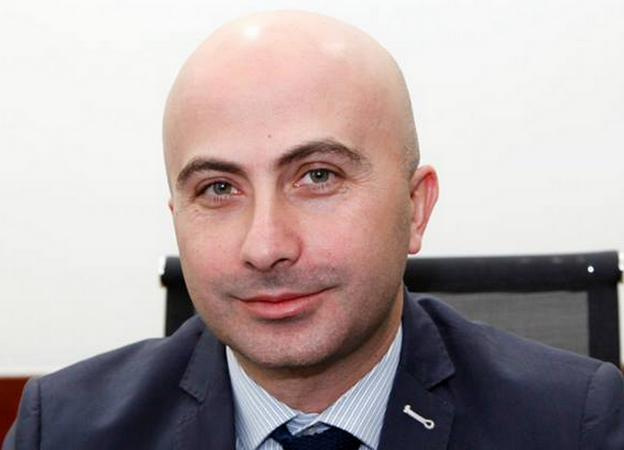 According to Levan Davitashvili, Deputy Minister of Agriculture of Georgia, all Georgian wines sold at both local and export markets must be equally good. 18.02.2015. Solomon Tetrashvili’s hundred-year-old garden in Digomi district, Tbilisi, is a relic of the city’s glorious viticulture of an earlier time. Three hundred square meters of Rkatsiteli vineyards are located at Digomi highway, right across the “Baghnari” restaurant. The vineyard was planted in 1920s, when the residents of Digomi used to own agricultural lands there. The vineyard and a fruit garden represent a unique green island in this part of the city, where preserving similar types of oases requires a great deal of public effort due to the accelerated urbanization process as well as land owners’ willpower to overcome the temptation of lucrative deals for selling their lands. Hostorically, Digomi used to be quite famous for its gardens and vineyards as it provided the whole city with seasonal fruits. It has not lost this function completely even today, however, the products (including cucumbers, tomatos and greens) are now usually grown in greenhouses. The area of agricultural lands has also been reduced either because of the increasing dwelling unit density or due to general downturn in horticulture and viticulture. Niko Ketskhoveli was one of those academics, who examined the city’s districts of Gldani, Avchala and Digomi in one of his works – “Cultivated Plant Zones in Georgia” – as sub-regions of table viticulture. According to his work, it was mostly table grape varieties that were produced in these regions of Tbilisi. It is well-known that Gldanura grape, historically common in Gldani, is another name for Gorula, which is one of the best table grapes of Kartli region. Digmura, an endangered red grape varietal that has been long produced in the village of Digomi, requires a proper examination as well. Presumably, Digmura produced ordinary wine and therefore, was used mostly for consumption. Indeed, instead of relying on written records, it would be far more reasonable to taste wines made from Digmura in order to make final conclusions about the grape. This will also allow us to analyze the potential of this varietal in Georgian viniculture. 18.02.2015. Armazi Wines, a young Georgian winery, has made its first export shipment to Latvia. Armazi exported 6000 bottles, seven types of reds and whites, mostly Kakhetian varieties. The wines will be selling mainly in Latvian wine boutiques and in Maxima supermarket chain. 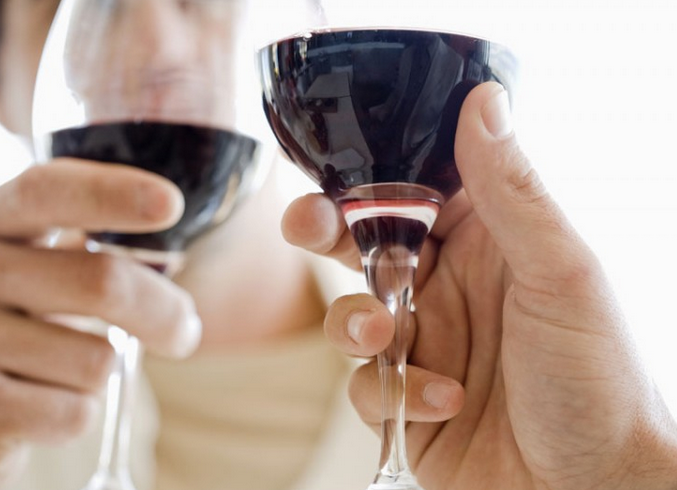 Wine consumption in Latvia is growing by 7% every year. As Georgian wines are very popular in Latvia, it is considered a strategic market for Georgia. The winery is negotiating with Estonian and Lithuanian importers to increase exports in second half of 2015. Armazi wines plans to export its wines mainly to EU countries because of its low risks unlike Russia. 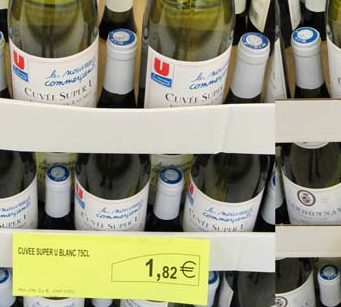 The Georgia-EU Association Agreement also makes exports cheaper, so the wine price on the shelf has being decreased. Armazi Wines was founded by Beka Khergiani and George Sharvashidze. Armazi is the name of a location in Georgia, 4 km southwest of Mtskheta and 22 km northwest of Tbilisi. 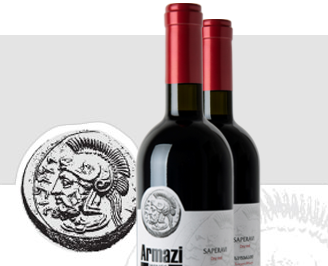 Armazi has changed the history of wine after archaeologists found a wine cellar, dated as IV century BC. Moreover, the emblem of the company is a coin, found in this cellar, created for the warriors of a first king of Georgia – Pharnavaz I of Iberia. 17.02.2015. (Hvino News) The economic crisis in the main destination countries of Georgian wine export has led to sharp decrease in Georgia's wine and spirits exports. In January wine and brandy export revenues decreased dramatically, while chacha sales went up by 34% compared to early 2014. The Russian Federation is the most important economic actor in the major export markets for Georgian wine both in the post-Soviet countries, Central Asia and Eastern Europe. Thus, the crisis faced by Russia significantly affects the economic environment for Georgian wine export. In January 2015 Georgian wine exports to the Russian Federation significantly reduced (by 87%, or by 2 354 334 bottles), to Azerbaijan - (70%, 31 716 bottles), Ukraine- (52%, 346 454 bottles), Estonia-(49% , 27 300 bottles), Kazakhstan - (17%, 39 138 bottles). Smaller decline in sales is observed in Poland and Latvia, however, these markets maintain stability along with Lithuania and Uzbekistan, where January exports increased minimally. By contrast, sales increased significantly in East Asia - China and Japan, where the government takes special measures aimed at diversification of export market. 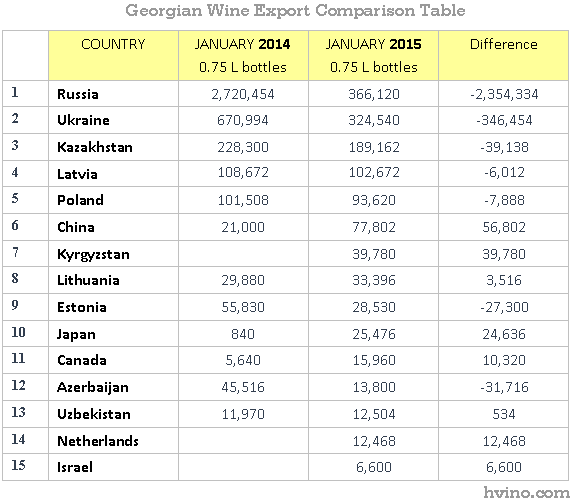 Thus, in January 2015, the Georgian wine exports decreased by 67% or 2 694 084 bottles. 17.02.2015. 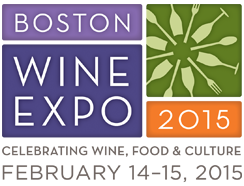 The 2015 Boston Wine Expo [read more in: Georgia to showcase wines at Boston Wine Expo] was cut short due to yet another blizzard to plague Boston. On Saturday, I spent most of my time pouring wines and gently educating wine enthusiasts for Badagoni Winery in the country Georgia. I enjoyed working the inside of the table. Unfortunately, I never had the time to visit many of the other tables at the expo that I was planning to visit. I was just having too much fun. 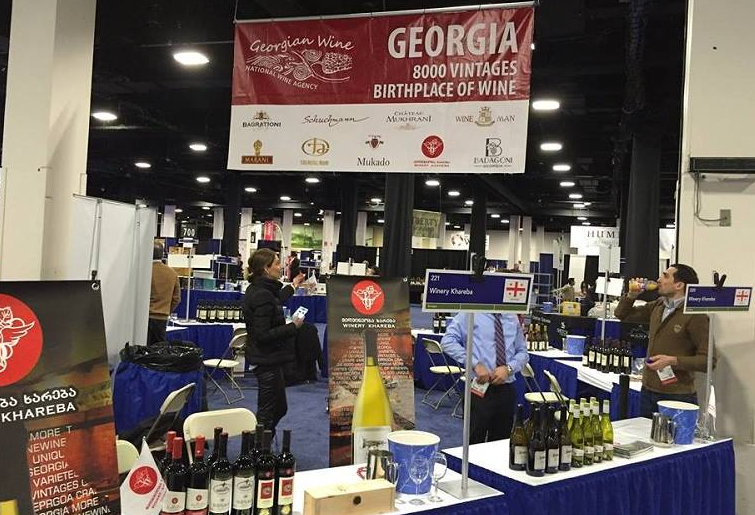 Most of the expo attendees that stopped at the Badagoni table have not had wines from the country Georgia. I used my ipad to show the location of Georgia and photos of the grapes in the wines they were tasting. One of the wines was a qvevri wine. I used photos to explain what qvevris were and how they were made. I also talked about the Alaverdi Monastery qvevri Rkatsiteli the qvevri wine we were serving at our table. Reaction to the question, “Are American wine enthusiasts ready for Georgian white qvevri wines,” was mixed. A little over half of those I asked said yes, others did not think so. Of those saying yes, some were red wine drinkers. I suggested they try a white wine and poured the qvevri white wine. It was well received. Another discovery was the need to provide education about the qvevri wines prior to tasting them. 16.02.2015 (Hvino News). Eric Livny, director of International School of Economics (ISET) at Tbilisi's university, commented on Georgia's government plan to increase alcohol and tobacco excise taxes (read more in New rules in Georgia to regulate wines and spirits). Yet another example of rushed legislation that appears to ignore the interests of businesses concerns the recent decision to increase excise taxes on alcohol and tobacco as of January 1, 2015. The Government’s official aim was to increase budget revenues while harmonizing Georgia’s regulatory environment with that of the EU. Yet, the manner in which the whole process was rushed raises many questions.Georgian companies were not allowed any time to adjust their investment and production decisions, leaving them with excess capacity and losses. Furthermore, the level of excise taxes on alcohol was set at a level exceeding that of many European nations. This was decided without examining relevant demand elasticities, that is, the extent to which higher taxes will affect sales and budget revenues. In a country with rich traditions in home production of high quality alcoholic drinks (that are not subject to excise taxes), demand for alcohol is likely to be quite a bit more elastic than in most European nations. After all, Georgian consumers can switch to homemade wine or chacha, spelling doom for Georgian government’s plans to raise an extra 100 mln GEL in excise tax revenue. 16.02.2015 (Hvino News). 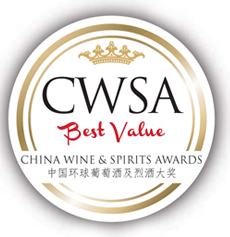 11 Georgian wines have won prizes at CWSA (China Wine & Spirits Awards) Best Value 2015. The CWSA, based in Hong Kong, is the biggest wine and spirits competition in China. 16.02.2015 (Hvino News). 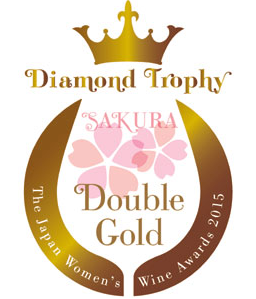 Two Georgian wines have won prizes at Sakura 2015 - Japan Women's Wine Awards. Double Gold Award was given to Lukasi Chkhaveri Rosé 2012, and Silver Award was given to Marani Kondoli Mtsvane-Kisi 2013. Keti Gersamia of Lukasi wine company said this success had brought new challenges to the company. She said several large-scale restaurant and shop networks in Germany, Belgium, Austria and Russia expressed their interest towards their products. The Lukasi company was founded by Keti Gersamia and her husband Mamuka Dolidze. 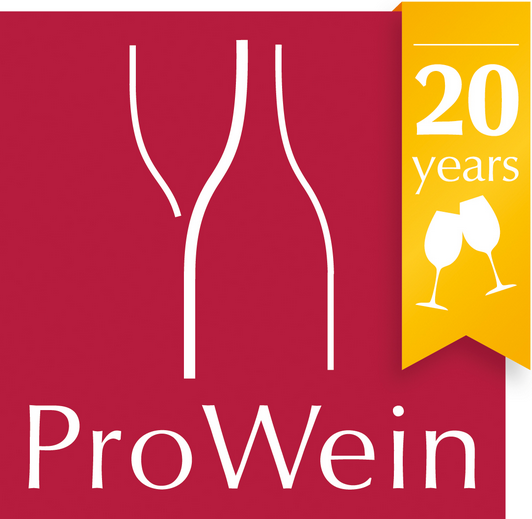 "We aim to have high quality, not mass-produced wines. We’d rather produce small quantities of very good wine," said Keti Gersamia. Sakura 2015' results were announced on Valentine's Day, February 14. Total of 2,904 wines participated in the competition. The jury consisted of 340 women wine specialists - this is the reason why the competition is called "women's awards" (participation is not restricted by gender). 15.02.2015. John Wurdeman, founder of Pheasant's Tears winery, assesses expected restrictions on the employment of foreigners in Georgia. "If foreigners’ entry into the country and employment is complicated, it will cause the country’s stagnation ", - the American businessman commented amendments to the labor migration bill, according to which free employment of foreigners in Georgia will be limited. John Wurdeman, who lives and works in Georgia for 20 years, says that Georgia should use every opportunity to obtain new knowledge and experience. Similar restrictions will only hurt the country. "Georgians still can teach the outside world a lot. If we want capitalism and a free economy, we don’t have experience of more than 20 years. For example - all Georgian families are cool hosts, but the service culture in restaurants is very low, quite different from the European and American levels of culture,”- Pheasant's Tears' owner notes. 15.02.2015. 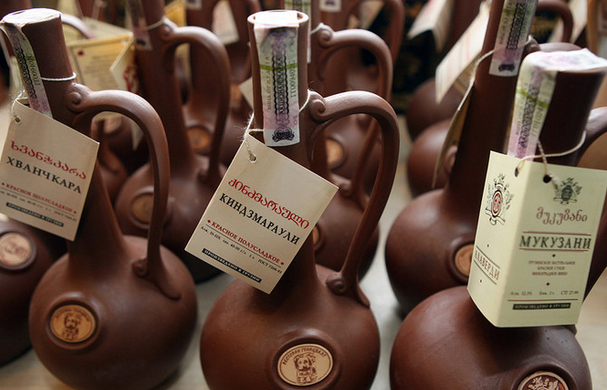 Sakpatenti, National Intellectual Property Center of Georgia, won the case over the famous Georgian wine brand Khvanchkara in China [read also: Dispute over “Khvanchkara” is successfully settled in China] and expects that appeals concerning other controversial brands will be satisfied as well. However, the case unveils blemishes in Georgia’s wine marketing strategy. 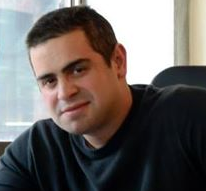 Integration Marketing Communication specialist Eldar Pirmisashvili believes that Georgian wine companies just do not understand the role marketing plays in business. 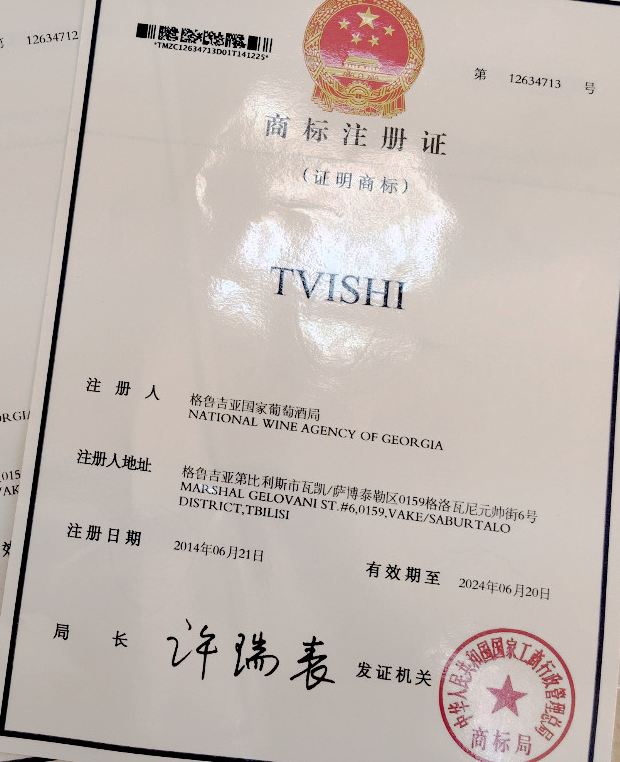 On May 23, 2013, Sakpatenti filed six applications for appellations of origin of Georgian wines Tvishi, Khvanchkara, Tsinandali, Kindzmarauli, Mukuzani and Georgian chacha for registration at the Chinese Trademark Office. 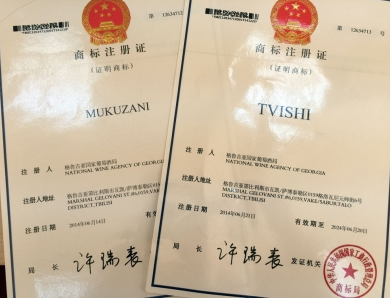 Examination of Mukuzani and Tvishi applications proceeded without delay and in January of 2015 both were registered. But the remaining four applications were rejected due to the similarity to the already registered marks. According to Sakpatenti, two Chinese companies and one private person held the ownership right over brands in question. Sakpatenti filed a lawsuit against the swindlers and won the case by February 6. It does not expect Khvanchkara to be disputed and after the expiration of the three-month opposition period, Khvanchkara will automatically be registered to the name of Georgia. 15.02.2015. According to the Ministry of Economic Development of Georgia, last year, due to trade relations with Russia, the country gained $180 million. Officials of the governmental administration don’t hide that without this money, the devaluation of the national currency would be higher – not 15%, like it is today, but 30%. However, trade relations with the northern neighbor are experiencing difficulties at the moment. For the first time they are connected not with political, but purely economic problems. Moscow is fulfilling all the agreements on restoring mutual trade which were achieved in the format of the Prague dialogue between the Deputy Foreign Minister of Russia, Grigory Karasin, and the special envoy of the Georgian Premier, Zurab Abashidze. The prohibitions of Rospoterbnadzor and Rosselkhoznadzor on Georgian products were canceled. Even though Georgia signed the association agreement with the EU and new rules began their operation in the Eurasian Economic Union, Moscow held open the economic border with Georgia, hoping for further normalization of relations. 13.02.2015. New rules are being introduced in Georgia to certify alcoholic beverages in a bid to improve the quality of wine and spirits and stop counterfeiting of local products. The new regulations will make it easier for the National Wine Agency of the Ministry of Agriculture to certify wine and alcoholic beverages, which then must go through inspection and the quality control procedures, said Georgia’s Ministry of Agriculture. According to the changes it will be mandatory to mark all alcoholic beverages with the special numbers – this will enable supervisors to get full information about the product. Agriculture Minister Otar Danelia believed the new regulations would guarantee the high quality of Georgian wine and alcoholic beverages as well as promoting counterfeiting prevention, not only in Georgia but in its export markets. 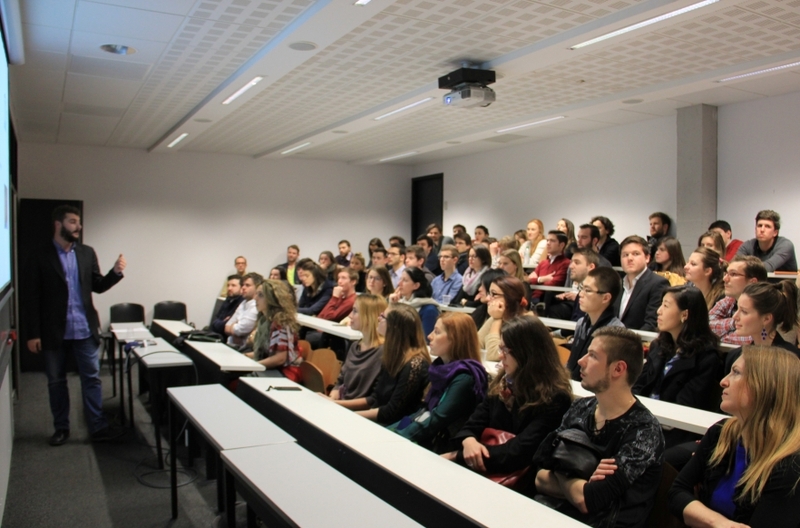 12.02.2015 (Hvino News) Georgian wines and traditional Georgian wine making method were presented in Bordeaux Wine & Spirits Institute (INSEEC). The event was supported by Georgian National Wine Agency, and leading qvevri producers were represented: Lagvinari, Iago’s Wine, Vinoterra (Schuchmann Wines), Pheasant's Tears and others. 8000-years of wine making history, ancient cultivated vine pips, pre-historic wine fermentation vessels, as well as traditional Georgian winemaking method were presented to the INSEEC students. Event was organized by Davit Jishkariani, student at Bordeaux Wine & Spirits Institute and member of Georgian Wine Club. 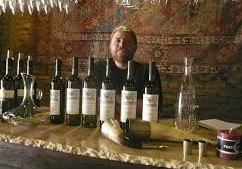 He noted: “It is crucially important to introduce Georgian wine culture to young wine professionals and wine enthusiasts as they will be the ones which will present these wines and wine culture to the final consumer. 12.02.2015. The International Finance Corporation (IFC) is providing a $2 million USD (4 million GEL) loan to one of Georgia's largest wine-makers and exporters. The financial support offered to Tbilvino aimed to spur the establishment of new jobs and generate tax revenues for the state budget. This in turn would encourage economic growth, said the IFC press office today. Furthermore, the money would support the company's working capital and enable further growth, said IFC. The financial support would contribute to the development of Georgia’s wine sector, which provided employment to a large number of households in rural areas. Subsequently, the loan was expected to have a direct impact on poverty reduction, as more than half of Georgia's poor live in rural areas, and create jobs both directly and indirectly. "As an industry leader and producer of the most in-demand Georgian wines, we need a guaranteed source of high quality supply of grapes,” said Tbilvino president George Margvelashvili. – Before we move onto the main topic, could you first explain why was it decided to add a wine hall to the National Library? – The idea belongs to Giorgi Kekelidze, director of the library and Malkhaz Kharbedia, founder of the Wine Club. They decided that Georgia needs to have a library dedicated to this particular field. We gathered a multitude of books scattered about numerous libraries and placed them in this hall. Currently we have 700 books on winemaking and viticulture in general here, and new additions arrive daily. We also have books dedicated to origins and history of various alcoholic drinks, ways of combating diseases that affect grapevines and so on. Not bad for a start, is it? Wine isn’t just something that gets you drunk. It is an aspect of enormous cultural heritage that needs to be treasured and protected. Today we have up to 600 grape varieties in Georgia – many of them are on the brink of disappearance, unfortunately. Our library isn’t just about collecting books; we are also creating a digital database that would contain information on all the Georgian winemakers that ever existed. 10.02.2015. In January 2015, Georgia exported 1 million 343 thousand bottles (0.75 liters) of natural wine, which is 3 times less than in January 2014, Russian news agency Interfax informs referring to the National Wine Agency of Georgia. According to the representative of the department, such a sharp decline in exports was mainly due to the devaluation of the ruble, which is why the delivery of wine to the Russian market decreased 7.5 times compared with January last year – and amounted to 366 thousand bottles (27.3 percent of the total exports). Meanwhile, Russia still ranks first among importers of Georgian wine exported to 16 countries in January. It is followed by Ukraine where supply of wine decreased 2.1 times because of the situation in the country and the fall of hryvna and amounted to 324 thousand bottles, the top five importers also include Kazakhstan, Latvia and Poland. 09.02.2015 (Hvino News). À la source du vin ("At the source of wine") is the title of new French-made documentary film about Georgian wine, released on January 31, 2015 on French television. The new 52 minutes documentary was directed by Philippe Gasnier, who also is the author of script. Film's story line is the meeting between French and Georgian winemakers who are in love with making natural wine. 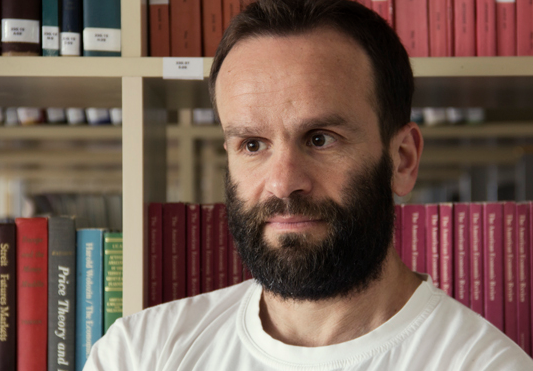 Hvino News is planning to publish an exclusive interview with Philippe Gasnier soon. You may watch the full documentary À la source du vin below (the language is French). 08.02.2015. The Trademark Office the State Administration for Industry and Commerce of the People’s Republic of China (SAIC) invalidated the unfairly registered appellation of origin of Georgian wine “Khvanchkara”. Besides, disputes over unlawfully registered appellations of origin “Tsinandali”, “Kindzmarauli” and geographical indication “Chacha” have continued between Sakpatenti and two Chinese companies since February 2014. National Intellectual Property Center of Georgia “Sakpatenti” expects that appeals over the other controversial appellations will be satisfied as well. On May 23, 2013 Sakpatenti filed 6 applications for appellations of origin of Georgian wines “Tvishi”, “Khvanchkara”, “Tsinandali”, “Kindzmarauli”, “Mukuzani” and Georgian geographical indication “Chacha” for registration with the SAIC Trademark Office. 4 applications were rejected due to the similarity to the already registered marks. Examination on 2 appellations “Mukuzani” and “Tvishi” proceeded without any delay. In January 2015 both appellations were registered. Sakpatenti does not expect “Khvanchkara” to be disputed. Accordingly, after the expiry of the opposition period, the appellation of origin of Georgian wine will automatically be registered in the name of Georgia. For more details, read Georgian wine’s uphill battle for its rights in China. 06.02.2015 (Hvino News). Tomorrow Georgian wine will be exhibited in Rome, Italy, at two days' event Vini Naturali (also known as Vignaioli Naturali a Roma). This is 7th gathering of Vini Naturali, which is about exhibiting the natural wines. The Georgian natural wine producers who participate in the exhibition are: Archil Guniava, Chveni Gnivo, Gotsa Family Wines, Iago's Wines, Jakelli Wines, Lagivnari, Mandili, Nika Bakhia, Okro Wines, Pheasants Tears, Ramaz Nikoladze Winery, Teleda Wines. "The Georgian group of winemakers will talk about the magic of wine in amphorae", - say the organizers. The events on 7-8 of February will be held at the prestigious Hotel Excelsior, Via Vittorio Veneto 125, an ideal space for conducting the tasting. Italian and Georgian vintners, known for their commitment and dedication to produce wine in respect of the land and nature, will be joined by Portugese winemakers of Touriga Nacional and Rabigato, the Slovenian Istria, the Mosel and its elegant Riesling. 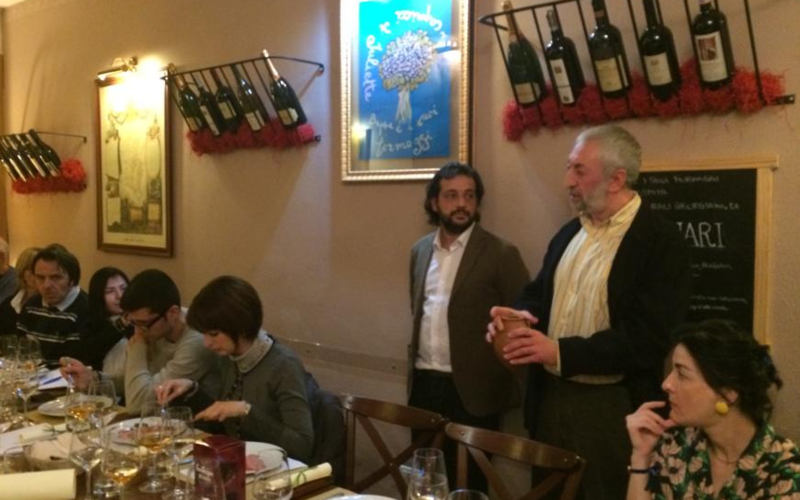 In the framework of the Georgian winemakers' vist to Italy, supported bu National wine Agency, the Georgian winemaker Eko Glonti presented his Lagvinari wines at the Rome's delicatessen shop Beppe e i suoi Formaggi on February 5. 06.02.2015 (Hvino News). 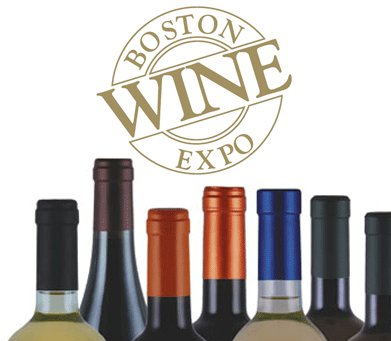 One of the largest wine expositions in the United States is the annual Boston Wine Expo. On February 14th and 15th, wine trade and consumers will have the opportunity to taste wines from over 200 producers from around the world. Nine producers Georgia will showcase wines produced using modern methods as well as traditional qvevris. The Georgian participants are: Badagoni, Bagrationi 1882, Chateau Mukhrani&GWS, Kindzmarauli Marani, Mukado Wines, Schuchmann Wines, Telavi Wine Cellar, Wine Man, Winery Khareba. Another important event focusing on Georgian winemaking at Boston Wine Expo is the Seminar The Republic of Georgia: Wines from Ancient Vines, scheduled for February 15. The Seminar is to be conducted by wine expert Lisa Granik, Master of Wine. 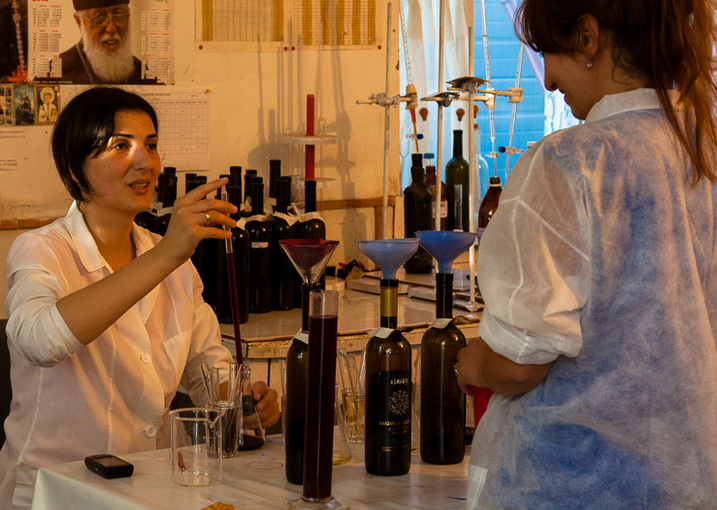 Ms. Granik is involved in development of marketing strategy of the Georgian wine, as one of international experts cooperating with Georgia's National Wine Agency. In Forbes’ list of “Nine Wines and Spirits to Start Drinking in 2015”, the magazine named wines from the relatively unknown winemaking state of Georgia—that is the former Soviet state located in the Caucasus region at the border of Asia and Europe, not the U.S. state. In January, the New York Times included Pheasants Tears, a wine produced by American expat John Wurdeman and his partner in Georgia, on its “20 Wines for under $20” list. Such recognition is indicative of the growing popularity of Georgian wines in the United States. According to a report by news outlet Voice of America, Georgian wines are being well-received by consumers in the U.S. capital of Washington D.C. “More and more people are more knowledgeable of Georgian wines,” said one liquor store owner who reported that monthly sales of Georgian wines in his store have grown from one or two cases to 20-plus cases in just two years; while a bartender at a popular D.C. restaurant claimed that once customers try a Georgian wine, “they’re generally hooked”. 05.02.2015 (Hvino News). The second Wine Cooperation Forum took place on 22 and 23 January 2015 in Kachreti (Kakheti region). This conference brought together many influential experts as well as policy-makers of the wine industry, including the head of Georgia's National Wine Agency, who made a presentation at the Forum. The European Union and Georgia signed an agreement on "Deep and Comprehensive Free Trade Area" in June 2014, which will affect the long-term development of almost all economic spheres. Georgian producers and exporters will be offered free access to the EU market with over 500 million high income consumers. EU understands the importance of wine sector for Georgia, and offers cooperation and assistance programs in this field. Within "Private Sector Development South Caucasus" (PSD SC) the project "Promotion of private sector development in the wine sector in Georgia" constitutes an integral part. PSD SC and its key partners established the Wine Cooperation Forum. The first Wine Cooperation Forum was held in April 2014 and has proven to be a useful tool for dialogue between state authorities and the private sector. Hvino News is honored to be among the partners of this international cooperation project, and today we welcome Stefanie Maak of AFC Consultants International GmbH, one of key project organizers. 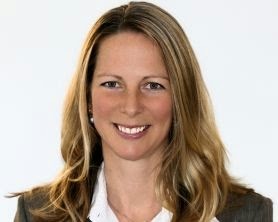 Stefanie Maak M.Sc.agr., Senior Project Manager at AFC, has kindly agreed to answer Hvino's questions. You have just returned from the Forum in Georgia. Can you summarize your impressions for our readers? The topics (qvevri wines and education/extension in viticulture) were highly relevant to the sector. Thus, the forum was attended by representatives from all steps of the wine value chain. As the lectures were given by a mix of national and international experts, the symposium gave a very interesting overview on different views and approaches how to foster Georgian wine. 05.02.2015. Georgian wine continues its journey in Europe and USA. After being exhibited at two exhibitions in the cities Angers and Saumur in France (read more here), Georgian wine will once again go on display at another two exhibitions. One will be held in Rome and is called Vini Naturali, which is about exhibiting the natural wines and the second one is Boston Wine Expo 2015. Later Sweden will host Georgian wine-testing event in Gothenburg, according to Georgian Wine Club Marani. 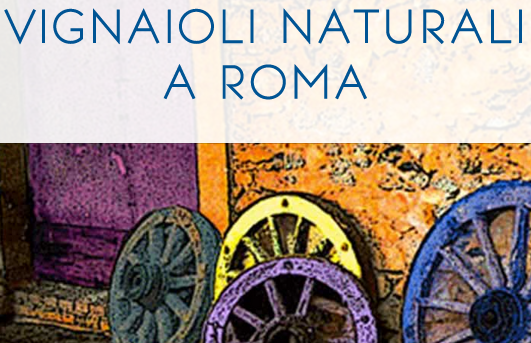 Vini Naturali exhibition will open take part on February 14-15. Together with 82 other countries Georgian wine-making companies will also represent natural wines at the exhibition. Out of 82 countries there will be exhibited more than 2 000 sorts of wine of more than 200 wine producers. Along with the exhibition there will be held the seminars which will determine what kind of chocolate or cheese is better with wine. In total 12 Georgian companies, which produce kvevri wine will be shown at the exhibition. Among them are Archil Guniava’s Cellar, Gotsadze Family Cellar, Iago’s Cellar, Jakeli, Our Wine and others. These companies will show different kind of wine at the exhibition. The organizers say that there is huge interest towards Georgian wine from their side. 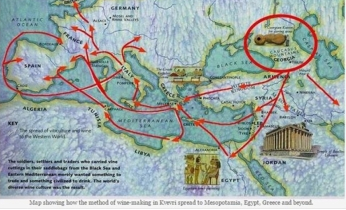 It is planned to discuss the kvevri wine-making technologies during the exhibition. 02.02.2015 (Hvino News). 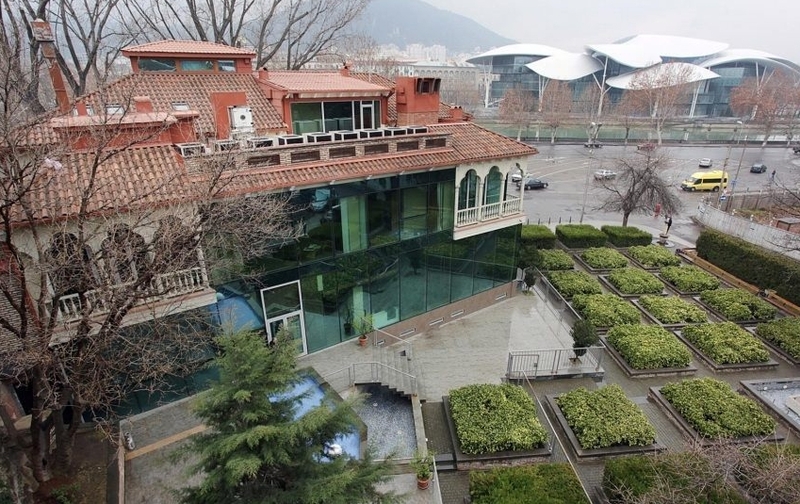 A year has passed since the idea of the creation of the Wine Museum was announced (read more here: Prime Minister Garibashvili initiates wine museum), but the details of the project are still unknown. 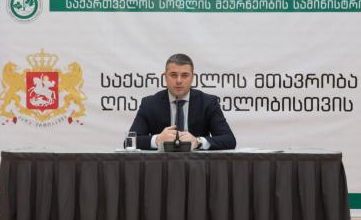 The new director of the National Wine Agency George Samanishvili said that the "work on the project is ongoing and there is nothing new in this regard", radio Kommersant reported. 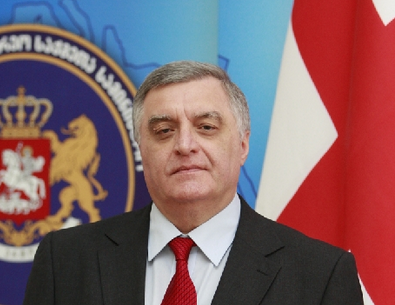 According to Mr. Samanishvili, several ministers are involved in the process. When is the process to be completed, remains unknown. As reported, the Museum will be built on the Turtle Lake area adjacent to the Ethnographic Museum. Last August the then head of the National Wine Agency Levan Davitashvili mentioned that work on the project would be completed by the end of 2014 and construction works would start in 2015. 02.02.2015. Minimum Retail Prices (MRPs) introduced by the government of the Russian Federation for imported and home-produced wine will not pose any danger to Georgian wine export. Shalva Khetsuriani, president of the Georgian Sommelier Association, said that the minimum rates adopted in Russia will not create problems for Georgian wine because many foreign wines are much cheaper than wines produced in Georgia. "Our country does not produce wine of such a low value which is produced by the Spanish, Germans, French, etc. Their wine may cost 1 euro. Our product’s price is much higher, "- explains Khetsuriani. 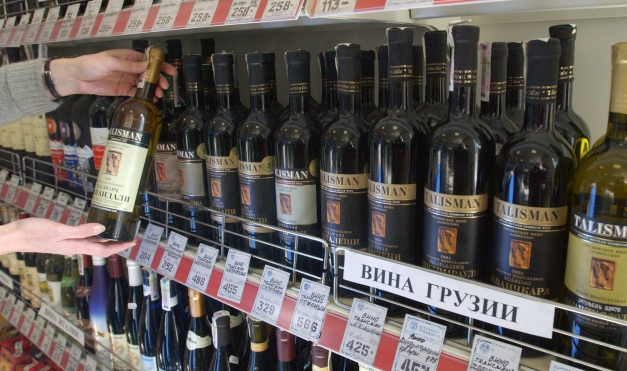 As reported, after three years of struggle Russia's Federal Service for Alcohol Market Regulation has been given a permission to set minimum retail prices of wine. 02.02.2015. Hvino.com has been keeping our own information data base on Georgia's wine industry since launch. Recently our list of Georgian wine producers has reached 100 companies. This is an amazing figure for a small country, confirming the unique product diversity of the Georgian wine market. 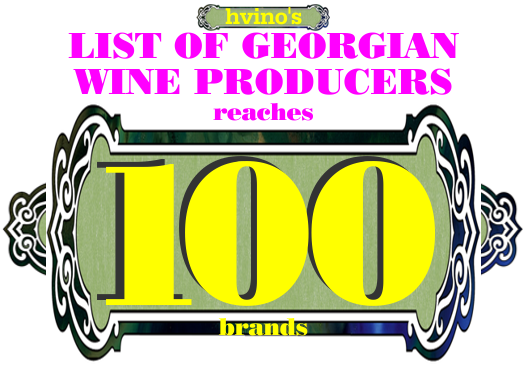 At the same time, Hvino's readers - from Georgia and the rest of the world - are frequently asking for more precise information about Georgian wine producers, and especially about the newer brands, which keep on emerging. While several dozens of largest companies sell their wines through popular retail chains and present them at regular wine fairs, other names are less known, and their product information is hard to find. International users cannot find the information in the internet, or the winemaker's websites are under construction. Are all the 100 wine producers active? 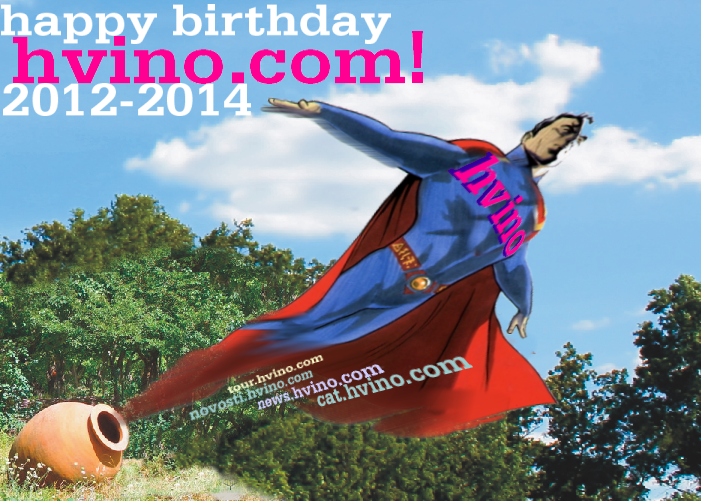 This is why Hvino decided to offer more detailed information to our readers. Our list of Georgian wine producers will be extended, including the fresh statistical data on wine production, export, and other information on wine manufacturers for 2014. We are now asking all the Georgian wine producers to provide their updates. Please, contact us via e-mail, our facebook, or simply by commenting below. Just tell us your production volume for 2014 in liters or bottles. Optionally, you may also add your export data and other details, which also will be included in our table. All the updates will be immediately published. If we are unable to receive any updates from certain companies, after several reminders such companies will be marked in our list as "sleeping". We wish to thank in advance all the Georgian wine producers for their cooperation, and hope to offer the renewed and extended data to our readers as soon as possible. 02.02.2015. 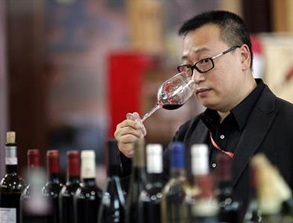 During the first ten months of 2014 China imported 301 million litres of wine, worth USD 1.2 billion. The volume is six times more than the total export of Georgian wine during the whole of 2014.With over 900,000 litres China is the sixth largest export market for Georgian wine. 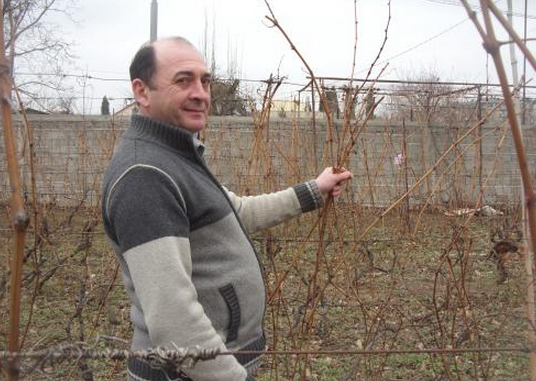 The instability of partners is the main problem that Georgian wine producers face in the world’s most populated country. The economic slump of Russia has once again raised a question of market diversification for Georgian winemakers. Leading Georgian wine producers that have reduced dependence on the Russian market to a minimum are betting on Asian markets and testing the potential of India and South Korea. Georgian wine export amounted to 45,931,023 litres, worth USD 180,721,000,during 2014, up from 35,905,939, worth USD 127,850,900, from the previous year. With 28,578,859 litres Russia became the first export market for Georgian wine, making up over 40%. In 2014 it was one year since the seven-year Russian embargo was lifted. With 6.3 million litres Ukraine is the second largest importer of Georgian wine. 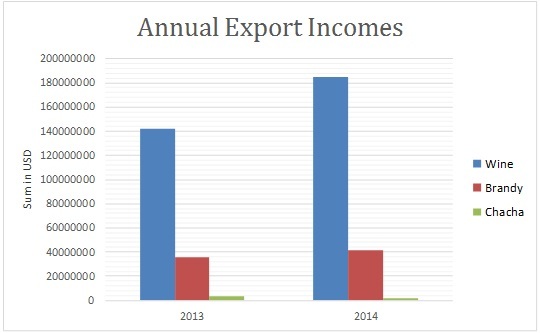 The export dropped from 9.9 million litres from 2013. Ukraine is followed by Kazakhstan, which imported 4.09 million litres. Belarus is the fourth market, amounting to 1.8 million. It is followed by Poland - 1.2 million, and China - 866,826 million litres, worth USD 4,664,900. 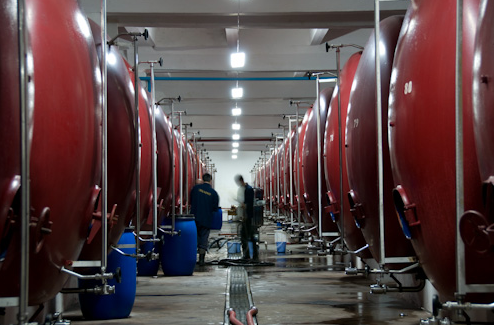 The Russian economic recession raised fears of expected losses for Georgian winemakers as there are some companies whose total export to Russia amounts to around 80-90%. The significant economic growth of Asian markets has turned out to have good potential for Georgian wine companies trying to reduce their dependence on Russia. However, total replacement of the Russian market remains unrealistic for at least the next decade. 01.02.2015. A funny cartoon has gone viral in Georgian web space – Meet Supraman, a Georgian version of famous superhero from DC Comics. 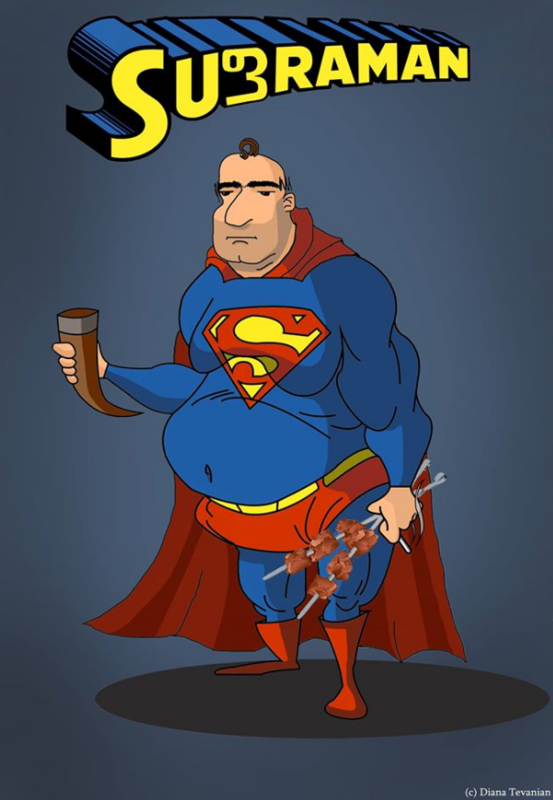 Like his American counterpart, Supraman also has a sole weakness – not kryptonite though just as deadly – a hangover. It is unknown whether Supraman can fly, though he has demonstrated the ability of silly walking at its finest. The design is by Tbilisi-based artist Diana Tevanian.